Diabetic retinopathy is a complication of diabetes whereby the small blood vessels in the retina become damaged over time. These changes are usually imperceptible and can only be detected by regular retinal examinations, which should be undertaken at least once a year. At Zacks Eye Clinic in central London we provide private dilated diabetic retinal examinations with digital photographs and OCT scans. We also encourage our patients to attend their annual NHS diabetic retinal screening appointments. Fluctuations in blood sugar can cause changes in the focussing of the crystalline lens within the eye and cause temporary visual blurring, particularly if diabetic control is poor. 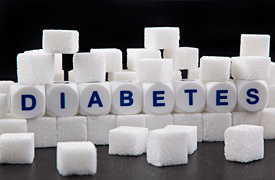 Diabetes can also cause cataracts in young people, or accelerate the development of cataracts in older people. 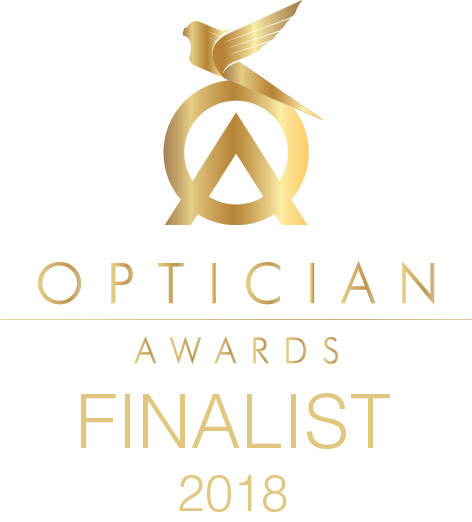 Diabetic retinopathy is one of the commonest causes of blindness in the UK in people between the ages of 30-65 and 12% of people who are registered blind and partially sighted each year have diabetic eye disease. At any one time up to 10% of people with diabetes will have retinopathy requiring medical follow up or treatment. 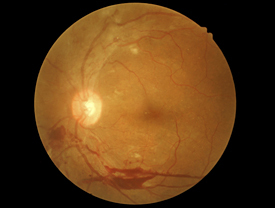 Diabetes can also affect other organs and the presence and severity of retinopathy may be an indicator of increased risk of other complications of diabetes such as ischaemic heart disease, kidney disease or diabetic neuropathy (which contributes to male impotence and diabetic foot disease). Can I Prevent the Development of Retinopathy? Tight control of diabetes can reduce the risk of retinopathy by 60% in type I (insulin dependent) and 40% in type II (non-insulin dependent) diabetes and will also reduce the risk of other diabetic complications. Although the majority of people with diabetes who have had diabetes for long enough will have some degree of retinopathy, regular eye examinations will enable early diagnosis and early treatment. When people first develop diabetic retinopathy they have no symptoms, but if diagnosed at this early stage, it is a treatable condition, which is why it is important for diabetics to have regular eye sight tests.